Who you got for English? Freedom Writer. That is pretty much all you need to know. If you know they called me Freedom Writer you know that they were black and poor and I was white and young. You know that we both swallowed the lie that a young white woman can save a whole generation. My students don’t call me Freedom Writer anymore. It isn’t just because I’m older. I now work at an upper-middle-class school and they just call me Ms. Norman. Teaching is one of the only professions where no one uses a first name, at least at any school I’ve ever worked at. Generally, the adults in my building even refer to each other as Mr. or Ms., for continuity’s sake, which means most of the kids don’t even know our first names. Very occasionally, a student will see me in public and call out my name. I know before I see who is shouting that they are my student. Just hearing someone shout “Hey, Ms. Norman” puts me immediately into teacher mode, even in the middle of the grocery store. I like Ms. Norman. I like my classroom and I like who I am in it. I have carefully curated the furniture (spray painted funky colors) and the posters (MLK, Mother Theresa, Ghandi), just as I have carefully curated the persona that is Ms. Norman. In fact, sometimes I wish Abby could be a little more like her. Ms. Norman is always in charge. Abby, not so much. Ms. Norman may not always have the answers, but she knows where to find them. Abby doesn’t even know the right questions to ask half the time. Ms. Norman takes no crap, not from anyone. Ms. Norman handles her business so well that she only has to write an office referral for discipline once a year. Abby takes a lot more crap and does way more freaking-out-about than handling of the business. I know exactly who I am in my classroom, and my students know what to expect. I will yell a little when you turn in a paper late, but I will let you turn it in. I will just give you a dirty look for saying a swear word, but I will not tolerate you saying unkind things to the other students. My classroom speaks to this. I have a giant hand-painted sign where you would expect the clock to hang that says BE KIND. My bean-bag chairs speak to my desire for kids to be comfortable in my room. My giant piles speak to my general disorganization. Even that flaw Ms. Norman is comfortable with. After almost ten years in the classroom, I am considering trying my hand at something else. I am not sure quite yet if this is a phase, or if I really am ready to leave. As I contemplate the possibility of not being a teacher anymore I think about how there won’t be a place to hang the posters I have so carefully picked and laminated. What in the world will I do with eight bean-bag chairs? Without a classroom, I also wonder what will happen to Ms. Norman. Will I ever need to be able to shout down 35 kids in 15 seconds or less? Will I maintain the ability to simultaneously read a passage aloud and confiscate a cell phone? Will I remember all the dirty jokes in Romeo and Juliet or be able to recite whole pieces of Of Mice and Men without looking? These are all things Ms. Norman does very well. I have been surprised at how lost I feel even thinking about leaving the classroom, the loss that I feel, the uncertainty. Can the best parts of Ms. Norman, of myself, live on if there is no classroom for her to reside, no plaque with her name, telling the world she belongs here? “Learning from Ms. Norman” was written by Abby Norman. Abby lives and loves in the city of Atlanta. She swears a lot more than you would think for a public school teacher and mother of two under three. She can’t help that she loves all words. She believes in champagne for celebrating everyday life, laughing until her stomach hurts and telling the truth, even when it is hard, maybe especially then. 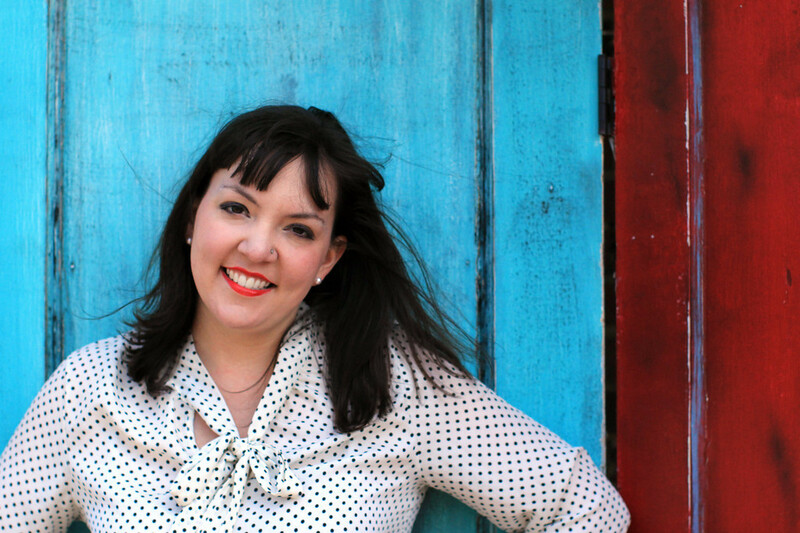 You can find her blogging at accidentaldevotional and tweeting at @accidentaldevo. Abby loves all kinds of Girl Scout cookies and literally burning lies in her backyard fire pit. This entry was posted in Guest, Role & Place and tagged career, classroom, identity, kindness, loss, lost, race, school, teacher, Teaching, teenagers, vocation. Bookmark the permalink. I love this! And it’s so true, your teacher persona is a little different from your real life self. I was a teacher (ESL) for 11 years and then transitioned into instructional coaching. Teaching is such a hard, hard job. But I also think we need more teachers like you! Best of luck to you as you figure it out!